The mobile payment revolution is coming - is your business ready? This terminal includes near field communication (NFC) technology so that your customers can simply wave their mobile phone to pay. The number of NFC enabled phones is estimated to reach 1 billion by 2017* and it is estimated that 65% of consumers will use their phones to pay for goods by 2020! ** Make sure you aren’t turning away customers because you don’t accept their preferred form of payment. This terminal accepts EMV-enabled credit cards, or "smart cards". 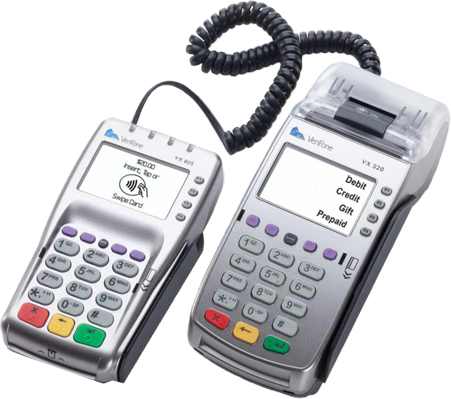 Smart cards include an embedded microprocessor that provides powerful security features not possible with traditional magnetic stripe cards. The major card brands recently announced that they will be migrating to EMV technology in the near future due to the added security afforded by these cards. Merchants who don't accept EMV payments will be non-compliant once these changes go into effect and will incur increased liability for data breaches. and chargebacks. 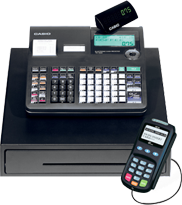 With Harbortouch, you can future-proof your business and stay on the cutting edge of payments technology!